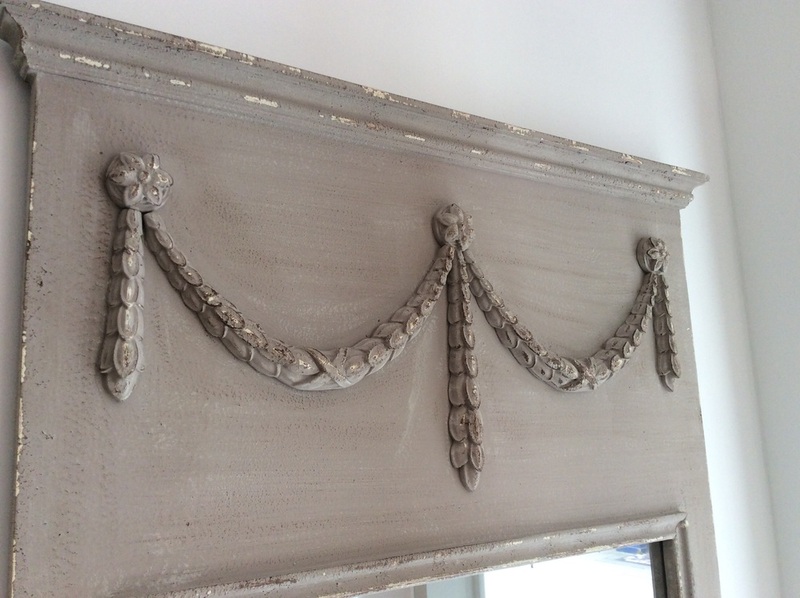 Homefront Interiors Ltd is delighted to announce that we are Bath's official stockist for Grand Illusions' range of gorgeous vintage-style chalk paints - perfect for all sorts of interior decoration projects. Chalk paint is deeply fashionable at the moment, particularly for anyone looking to follow the vintage trend, because of its soft matte finish and beautiful colours, and we think that Grand Illusions offer one of the best ranges you can find. So what makes Grand Illusions so special? We love their authentic approach - with their Vintage Paint range, Grand Illusions have lovingly recreated the buttermilk paint popular in the 18th and 19th century. The range is water-based and coloured with natural earth pigments, with a high chalk content (45%), so it's wonderfully smooth and easy to use. It’s also very breathable, making it perfect for interior walls & floors. Natural pigments and the significant proportion of chalk mean that the colours in the Vintage Paint range are gorgeously soft and delicate, from gentle greys and creams to warm earth tones and elegant greens. We’d highly recommend this range for vintage-style furniture pieces, as once dry, the paints are easy to distress gently with sandpaper, giving great results. We also stock a range of complementary Grand Illusions products to help you achieve a worn and weathered look, including kits for ageing the look of paint and for achieving a crackled effect. 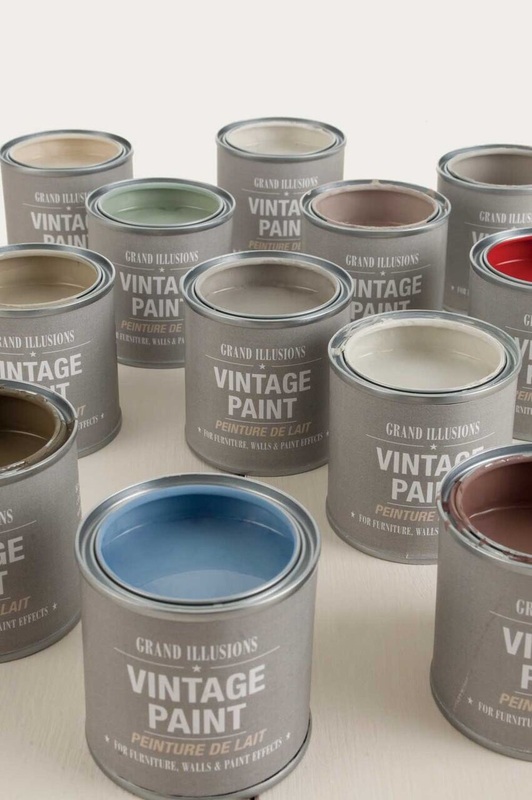 As well as the full range of Grand Illusions paints, we love their newly released book, Paint Vintage, also in stock at our shop in Margaret’s Buildings. Paint Vintage is a beautiful book and a fabulous guide to creating the vintage look for furniture and interiors – indispensable for beginners, but full of great advice too for those who’ve got a bit more experience. And if you are a beginner, why not join us for a class in our onsite workshop? For anyone looking to get into the world of upcycling and distressing furniture, we offer a one-day class (delicious lunch included, for just £90) where you’ll learn a great range of techniques, and take home a beautiful wooden tray which you have painted and distressed yourself. For more information, please do get in touch or just pop in and see us at the shop.